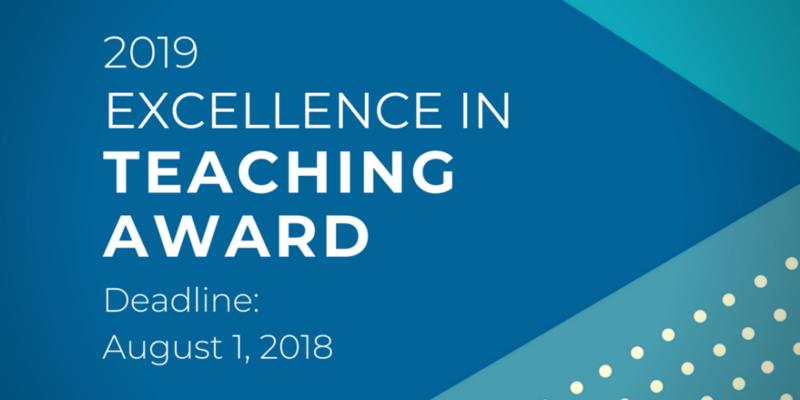 The AAR’s Teaching & Learning Committee is seeking nominations for the 2019 Excellence in Teaching Award. The committee is looking for practitioners who have developed innovative and/or exceptionally effective teaching methods, courses, and curricular materials, including the incorporation of technology in the classroom, community-based education, grant projects and/or contributions to the scholarship of teaching and learning. Deadline for submissions: August 1, 2018.